Why pay more? 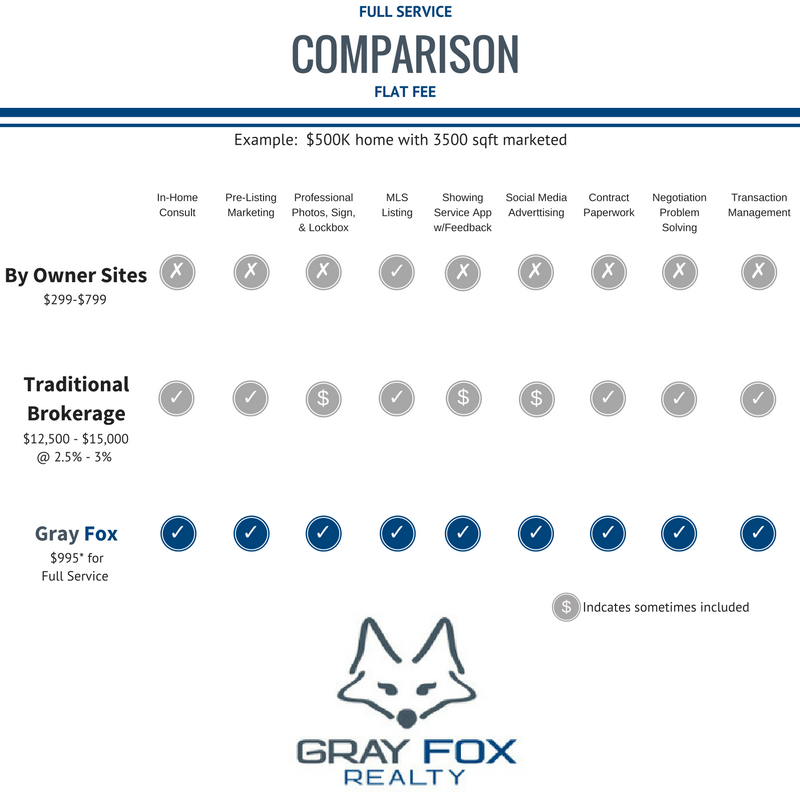 Gray Fox will provide you with superior service and results so you can decide to keep your equity or price your home more competitively in the marketplace. The scenario above shows you a savings of $11,505 to $14,005 on your listing side commission. For just a few dollars more than the average by owner programs on the web you can place your most valuable asset in the hands of trusted professionals. Combined, Gray Fox has decades of experience in helping buyers and sellers realize their real estate goals. * $995 FLAT LISTING FEE FOR HOMES UNDER 4000 SQFT. BUYER BROKER COMMISSION APPLIES AT PREDOMINANT MARKET RATE WHEN HOME CLOSES. $1495 FOR HOMES 4000 SQFT AND LARGER.